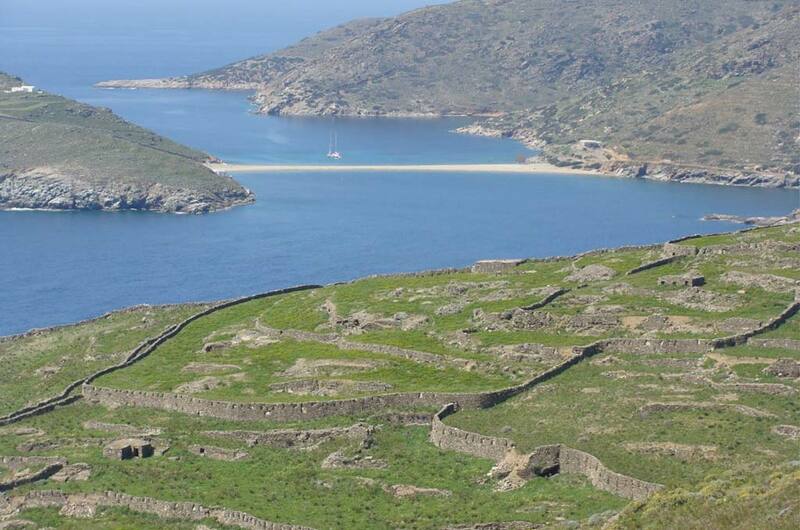 Kythnos has all the features that make it a unique and a suitable destination for hiking. 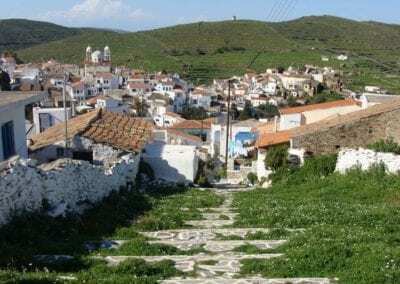 Walking along the paths of Kythnos, you will have the opportunity to get in touch with the roots, history, natural beauty and culture of the island. 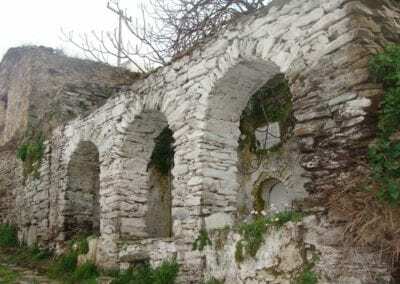 Graphic settlements, unique beaches, thermal springs, archaeological sites, Byzantine monuments, a unique cave, a virgin landscape, country churches, windmills, fountains and farm buildings with stone threshing floors are some of the things elements you will encounter during your trekking. 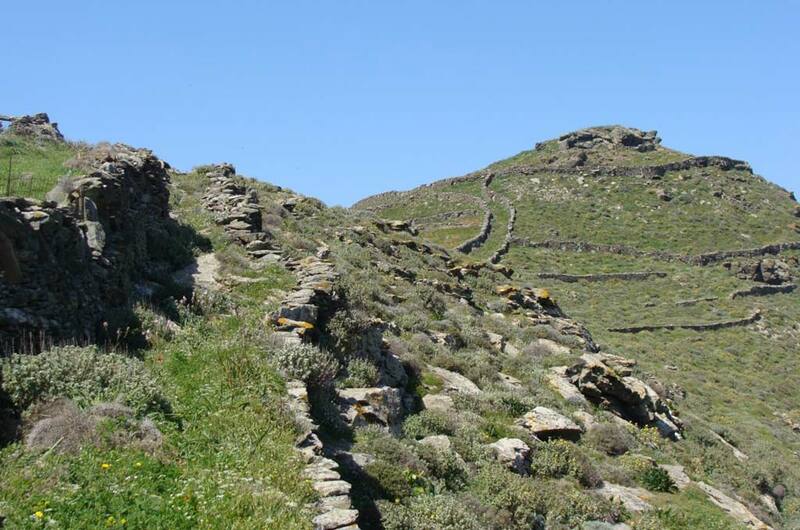 Kythnos has a rich network of hiking routes. Some of them are marked, while the rest can be found in the newly updated maps and the walker’s guide already in circulation. Routes vary in terms of their degree of difficulty due to the terrain. Some routes follow old rural paths, crossing ravines and end on beaches. Other routes end up in archaeological sites or impressive observatories. Route 1, towards the Castle of Oria, with the ruins of the settlement, which was destroyed in 1570 AD and the church of Panagia Kyraleoussa at the top, dominating the scenery while offering an impressive view of the island. 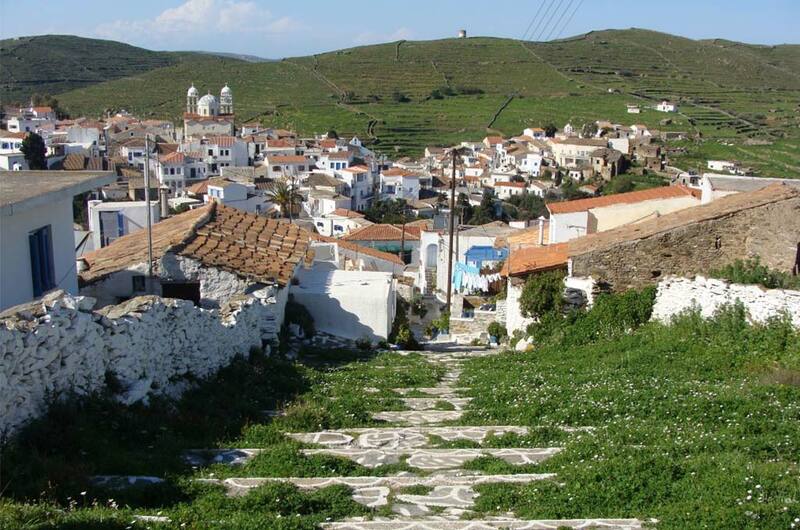 Route 2, towards Lefkes beach, first crosses the traditional settlement of Dryopida. Along the route, the key points of interest are the “wash houses” built in 1852. 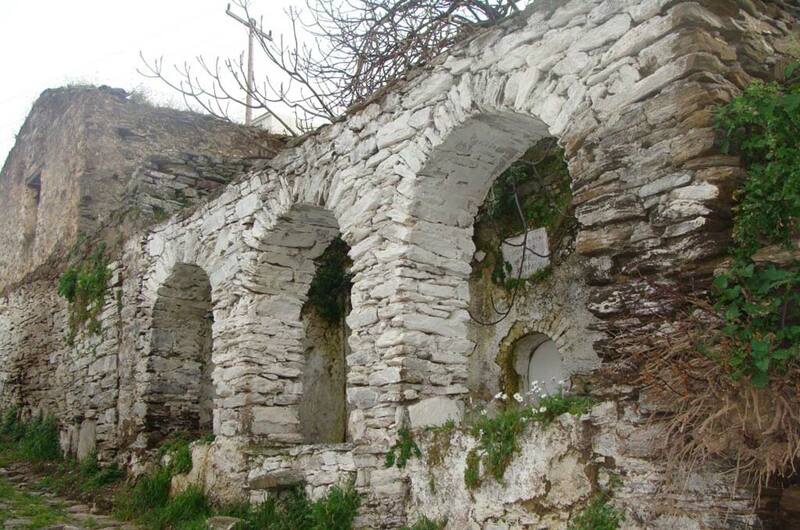 They are of a particular architecture and are characterized as new era monuments. 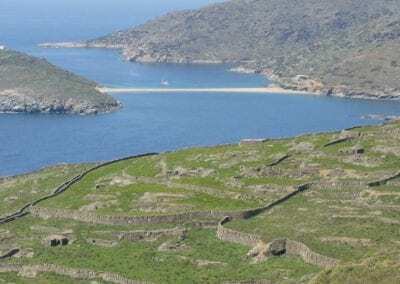 Finally, Route 6, towards Vryokastro, the ancient capital of the island, Vryokastro, inhabited from 10th-7th centuries AD, the visitor will see the dominating ancient temples of Apollo, Artemis, Aphrodite and Demeter and enjoy the great view of the beach of Kolona. Ideal seasons for hiking are autumn and spring, as high summer temperatures can make it a bit difficult for you. 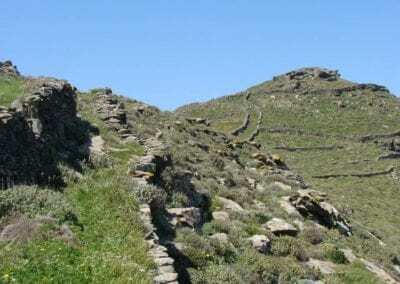 Hiking in Kythnos is a journey into space and time. We invite you to enjoy this trip so as to get to familiarize yourself with the most beautiful and authentic side of the island!